Being an SEO expert is not easy. Being a successful SEO expert is even more challenging. When you optimize your or your client’s website, so as to attract quality traffic, then you have basically put in a lot of hard work. But imagine what if all your hard work goes down in vain? What if everything you did to make your website get the rankings has turned out to be unfruitful because your website got hacked? The above-mentioned threat is generally the biggest nightmare for all the SEO experts out there. It is disappointing and heart’s wrenching. Not only does it makes all your efforts seem futile but is also a malicious threat to your client’s website’s security. Web security is important to protect the servers and secure the websites. Not having a secure website is like owning a jewellery shop without a watch guard. In short, it is a very pompous thing to do. Compromises the servers and its data. All the websites handle customer’s sensitive and personal data. Data like their bank credentials, phone numbers, passwords, emails and so on. Knowingly and consciously putting their data to risk is not a morally right thing to do. One must have a sense of responsibility when they own a website and their client’s credentials. Website reputation is something every domain owner aspires to have. Having a secure website, with so many other benefits, also gives you reputation. It helps in earning traffic and customers’/visitors’ trust. Everybody wants to use a secured website. Nobody would willingly put their personal data at risk by accessing am unsecured and malicious website. Think about it. When Google says, “The site ahead contains malware”, who would in their right mind still go on to visit it? This proves that it affects your traffic, and consequently, your work as an SEO expert. It’s crystal clear that Google treats Hypertext Transfer Protocol Secure(HTTPS) websites secure to a greater degree than the HTTP ones. This is how a website is secured through Https. If your website is not secured then the visitor would know it and wouldn’t obviously access it. Also, if your client’s website gets hacked and you lose traffic because of it then it would raise a big question on your work of optimization. This is a mammoth reason why you must push your client to shift to https. https://www. (website’s name).com and then press Enter. Redirect to https version: Type, http://www. (website’s name).com and press Enter. If you are redirected to the https version then that means, the server configuration in terms of redirecting rules has been properly set up. Note: Even though WordPress is considered to be very secure and safe with https, a lot of websites have been hacked in the past. Hence, make sure that your website is activated with SSL and https version by following the simple 2 Steps process. Web managers certainly go through a lot in order to make sure that their website is safe and secure. A website which is updated daily is exposed to two notorious threats, namely, Data injection and Cross-site scripting attacks. Both the attacks can take place at any time and rip your website into pieces. This is where you need something extra – a layer that would save your website from such attacks. A CSP is exactly what you need. Being an SEO expert, you must check that your client’s website’s CSP is in place. An HTTP header, that contains rules for data assets, is required to implement the CSP. Don’t think twice if your client asks for your help in securing his/her website. 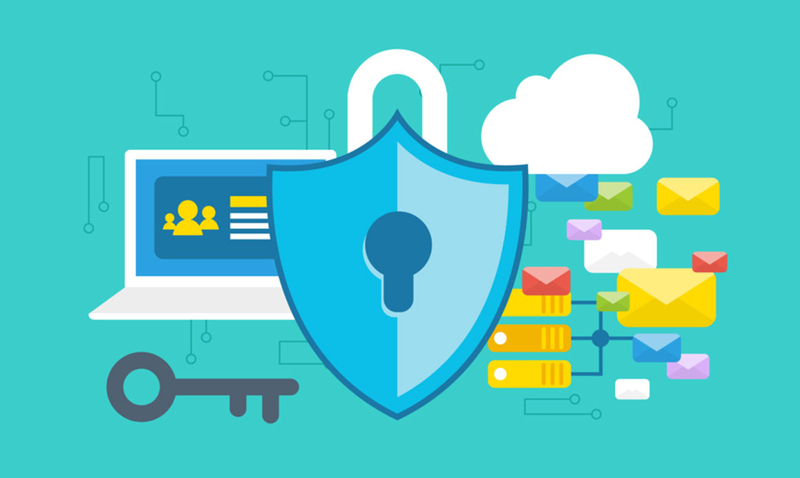 Even though, securing websites is not your task as an SEO expert; but think of it as an opportunity to make things better for yourself. As discussed earlier, in case your client’s website gets hacked you have to pay a big price too. So see it as an investment for your own good. Make your client aware of security threats like spams, data injection, cross-site scripting etc. How to tackle the problem if the website is hacked? When your client’s website gets hacked it may seem the end of the world; but trust me, it isn’t. All you need to do is take a deep breath and analyze the extent of a security breach. It could be easily determined by the warning message that Google affixed to your website’s search result. To get details about the breach, log in to Search Console, click on Security Issues Section, and examine the details of the URL that are compromised. It also specifies the type of security breach for each URL. Now, your work is to inform your client about the problem. Make them understand how severe the situation is and convince them to bring in web developers and programmers to look after the security issues. You may also suggest them to get in touch with web hosting developer who can give better insights as they must have knowledge of similar cases. Quick and umbrella actions are the key to keep your SEO expert unaffected from the hack, making things a little better for the website. Firstly, eliminate the compromised URLs from the index using the Remove URLs option in Search Console. Do a scan for crawl errors and submit your website’s map again. When the security team and website admin are done with their task of removing the malware, you must submit your website to Search Console Security Issues Report for a review. The results also depend upon the severity and extent of the security breach. Grabber: An alternative that does the work for free. It efficiently detects and reports the SQL injections, cross-site scripting etc. Incapsula: it provides a web application firewall. It is a security CDN tool that can make any website more secure, faster and trustworthy. Comodo Catch: it is known to be the best website protection software that detects malware, threats and enhances speed. Zed Attack Proxy (ZAP): It is the world’s largest and quite a popular security tool that is run by international volunteers. If penetrates the website and lets you know its security flaws so that you can take remedial action. SEO expert experts have a direct relationship with the client’s website’s security. It helps you grow as the client’s website grows along with it. A security breach will drop the traffic which will raise a question on your abilities as an SEO expert. A secured website results in more traffic which consequently means more business for you.